The continuous process of Christian influence gradually enfolded the Proto-Bulgarians, from the 7th-9th century. The internal development and the international relations of the Slav-Bulgarian State (founded in 681 by Khan Asparukh and recognized by the Byzantine Emperor Constantine IV) favored the successful penetration of Christianity. The Bulgarians during the time of the First Bulgarian Kingdom were mainly pagans, both dominant belief systems – the Proto-Bulgarian one and the Slavic one were monotheistic – The Proto-Bulgarians worshiped a god by the name of Tang-Ra (the Ruler of the Sky) and the Slavs worshiped a God by the name of Perun (the Ruler of the Thunder). However, by the time Bulgarian Khan Tervel was baptized in the Byzantine court at the beginning of the seventh century and given the title of Cesar from Emperor Justinian II, Chrisianity had already made inroads among the Pro-Bulgarian aristocracy. Bulgarian Khan Mikhail (852-889 seeking to achieve stability within the country (by uniting Slavs and Bulgarians) as well as recognition from the other Christian European countries, and lead by his personal faith in the sincerity of Christianity, was baptized and accepted the name Boris and the title Knyaz (the Slavic word for King) in 864. Shortly thereafter the process of baptizing the entire Bulgarian population was initiated. Knyaz Boris I was politically very wise and foresaw the advances of the enlightened and zealous clergy and an improved and autocephalous church to: develop his kingdom, to help unify his people, to promote the cultural advancement of the State, to strengthen the new social order and the sovereignty and prestige of Bulgaria. What is more, he sought not only autonomy for the Bulgarian church, but independence too, even though he knew he would not obtain it. Being an extraordinary diplomat, he tried to secure autonomy for the Bulgarian church through negotiations with the two established cultural and religious centres at the time – Rome and Constantinople. Negotiations lasted for three years, resulting in Boris renewing his connections with the Byzantine Empire. From October 5, 869 to February 28, 870 an ecclesiastical council was held in Constantinople to discuss Patriarch Photius’ question. Here came the Bulgarian envoys, who were welcomed very heartily and with due respect. At a special session with the participation of Rome’s envoys and of representatives of the four Eastern Patriarchates, the council discussed the question of church jurisdiction in Bulgarian. After prolonged debates, which disclosed the deepening contradiction between Rome and Constantinople, it was decided that the Bulgarian nation was connected in church matters to the Christians East. That representative forum created on March 4, 870 a separate diocese and laid the foundations of the Bulgarian Church, which was thus bound forever with the Eastern Orthodox community. Chronologically it was the eighth one in succession (after the four Eastern Patriarchates: those of Constantinople, Alexandria, Antioch and Jerusalem, and the three ancient archbishopric of Cyprus, of Sinai and of Georgia) in the incipient community of the Orthodox sister-churches. From its founding the Bulgarian Church was an autonomous archbishopric under the jurisdiction of the Constantinople Patriarchate, from which it obtained its first primate – Joseph (870–c. 877) a well as priests, deacons and liturgical manuscripts. In 863, two brothers, the Byzantine Christian theologians and Christian missionaries Cyril (826-869) and Methodius (815-885) were sent by the Byzantine emperor Michael III to convert the Western Slavs to Christianity and began the task of translating the Bible into the language known as Old Church Slavonic. They travelled to Great Moravia (Czech Republic) to promote it. They enjoyed considerable success in this endeavour. However, they came into conflict with German ecclesiastics who opposed their efforts to create a specifically Slavic liturgy. For the purpose of this mission, they devised the Glagolitic alphabet or Cyrillic Alphabet, the first alphabet to be used for Slavonic manuscripts. The early Cyrillic alphabet was developed in the First Bulgarian Empire as a simplification of the Glagolitic alphabet which more closely resembled the Greek alphabet. The Glagolitic alphabet was suited to match the specific features of the Slavic language. The Cyrillic alphabet was used to transcribe Old Church Slavonic from Greek into Bulgarian for the Slavonic liturgy and Bible. in Cyril and Methodius used the same language that at the time was spoken by the Slavs from Ochrid to the Black Sea, and that this language eventually became known as Bulgarian. After the death of Methodius, the German clergy in Great Moravia, supported by the Roman Church, treated cruelly his disciples. His disciples were forbidden to preach in Slavic. In 886 some of the Slavic clergymen were sold as slaves and others were driven out of the borders of Great Moravia. After having been exiled from Moravia and Pannonia by the German clergy, the surviving disciples of Kliment, Naum and Angelarius found asylum in Bulgaria. They were welcomed heartily by Knyaz Boris I in Pliska, the capital of Christianized Bulgaria. Angelarius died due to the long suffering, Naum and Kliment establish the Pliska-Preslav and Ohrid Literary Schools. Both schools became the two main religious and cultural centers in the country. Within a short period the two towns managed to institute a rich spiritual and educational movement and the era would come to be known asthe Golden Century of Bulgarian Literature. As a result, at the Preslav council (893) the Bulgarian language was accepted as an official language of the church and the state. Kliment of Ohrid, born Bulgarian from the southwest district, was the most prominent disciple of Cyril and Methodius, who came to Bulgaria in 886. He was ordained as the first Bulgarian language bishop of Macedonia in 893 during the reign of Tsar Simeon. For 7 years, he educated 3,500 disciples of all social origins, and prepared a large number of priests, deacons and teachers. He died at an advanced age in 916. His disciples buried him in the monastery “St. Panteleimon” in Ohrid Macedonia), which he had established. The Ochrid School established by him, together with the scholars of the Preslav School, laid the foundation of the Bulgarian literature, tradition and education, and served as an example for the neighboring slavic populations in Eastern Europe. In 889 Boris I abdicated and retired to a monastery and was succeed by his eldest son Vladimir-Rasate who tried to restore Paganism, the traditional religion of the country since 681. After Vladimir-Rasate was deposed by his father in 893, the latter gathered a People’s Council in Preslav to legitimate the changes. Since the issues to be discussed were of great importance for the whole country, the attendance and approval of the higher and lower nobility, the clergy and representatives of all provinces was needed. Prince Vladimir-Rasate was dethroned and replaced by his brother Simeon I. Simeon, who was intended to be a high-ranking cleric or even Archbishop, was released from his monastic oath. There was also a change in the principle of succession which allowed the brother of the monarch to succeed him. Up to that time only the son of the monarch was able to succeed him on the throne. That change was mentioned by John Exarch in his work Shestodnev. The capital of Bulgaria was moved from Pliska to Preslav. That decision is explained with the desire of Boris I to select a capital away from Pliska where the memory of the heathen past was still very strong. In the new capital Simeon would have been surrounded by people loyal to Christianity and the pro-Slavic policy of his father. ]Preslav was also the site of the Panteleimon Monastery where Boris I had retired and where Simeon himself might have resided. Andreev suggests that placing the capital in Preslav was a symbolic act of breaking with paganism. The Byzantine clergy was to be banished from the country and replaced with Bulgarian clerics. Among the newly appointed Bulgarian bishops was Clement of Ohrid who was sent to Devol in the region of Kutmichevitsa. The Old Bulgarian language was to replace the Greek in liturgy. Thus it became the official language of Bulgaria. That act was of great importance not only for Bulgaria but for the whole Slavic world. 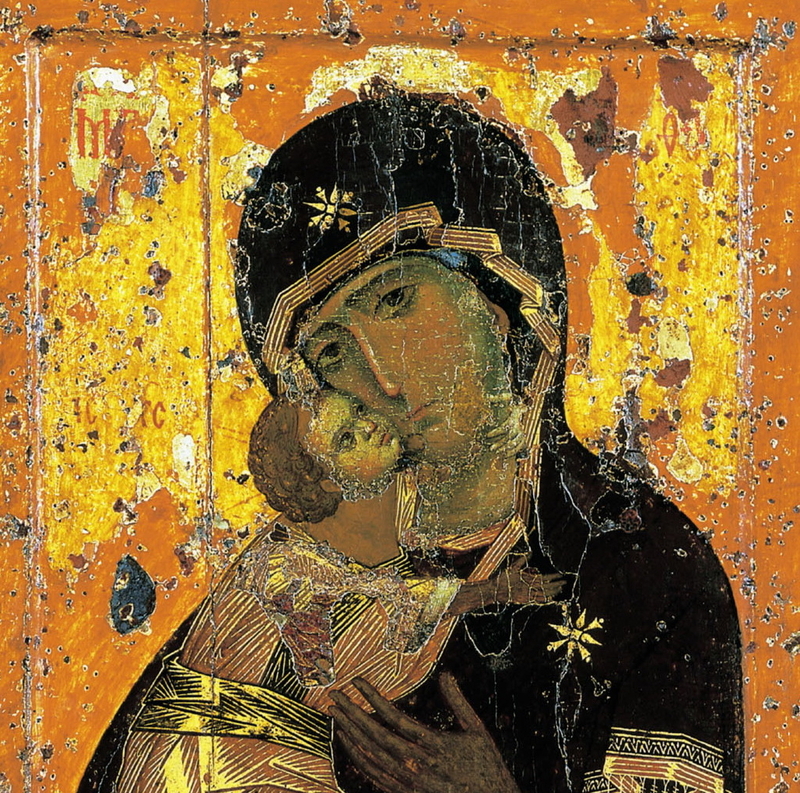 The removal of the Byzantine clergy and the Greek language from the liturgy ensured that Bulgaria would stay away from any strong or direct Byzantine influence in its policy and religious life. King Boris’ dream for independence would be accomplished by his son Simeon (893-927). 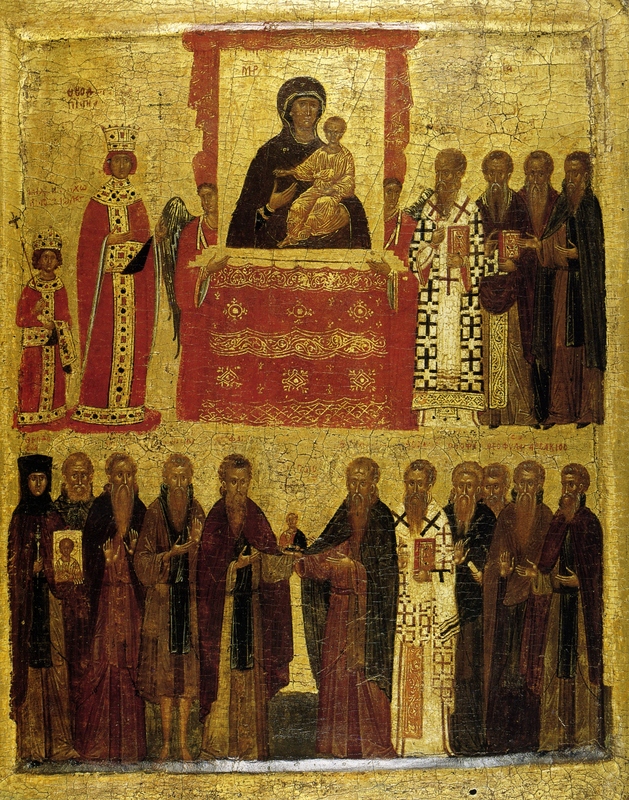 In 927 the Bulgarian church was granted independence and status of patriarchy.